Home › Archaeology › How Can You Be So Sure? Those answers don’t play very well these days in a skeptical culture. Or even in many friendly but secularized environments where answers need to be tight and logical if they’re to be acknowledged, even respected. So while skeptics are good at asking tough questions, many Christians are not very good in answering them in ways that are intriguing and invite further investigation. Do you have a solid “go to” strategy to answer these questions? Think practically. Do you have sound and worthy 2 Minute Answers? All Christians should be able to address these topics in concise and compelling ways. Let’s address each one. 1. The Existence of God – Christianity need not be based on blind faith but rather on fact. It is not irrational to believe in a God one cannot “see” – it’s irrational for skeptics to suppose that what cannot be seen does not exist. Black holes, electrons, laws of logic, and the force of gravity are all unseen but recognized as existing. Put another way, the order and the complexity of the universe testify to the existence of an uncaused First Cause. 2. The Deity of Jesus Christ – Christianity rises or falls on the deity of Jesus. Here are just 3 of many Bible texts that demonstrate Jesus is God. Finally, the proof of Christ’s deity is seen every day in the lives and testimonies of millions of people throughout human history who attest to the powerfully strange and transforming impact of a personal relationship with this God-Man Jesus who intersected and changed the world. 3. 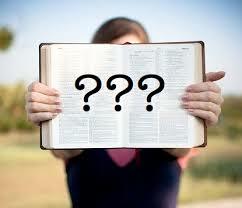 The Reliability and Authority of the Bible – Is the Bible divine or is it of human origin? First of all, the Bible has stronger manuscript support than any other work of classical history – including Homer, Plato, Aristotle, Caesar, and Tacitus. Almost 6,000 New Testament Greek manuscripts have now been uncovered, all written between 20-50 years after Christ. Compared to 5 copies of Poetics by Aristotle, 1,757 copies of Iliad by Homer, and only 210 copies of the entire works of Plato – all copies dated at least 1,000 years after their original writing. Additionally, while archaeological diggings cannot support the proposed historic underpinnings of Mormonism, the people, places, and details found in the Bible have been tested time and time again and show their true roots in history and evidence. New historical evidences prove texts in the Old and New Testaments regarding King David, Pontius Pilate, Caiaphas the high priest, the pool of Bathesda, and the city of Nineveh in the Assyrian empire, among many others. Finally, liberal scholars attack the Bible by claiming the New Testament was determined by the winners of a supposed struggle between factions. Not true. The canon (books of the NT) was recorded very early (within decades of Christ) and thus was not subject to legendary contamination. The false Gnostic gospels (Thomas, Judas) are dated long after the close of the first century. Furthermore, the authority of the New Testament is confirmed by the eyewitness credentials of its authors. Certainly what we have today in the sacred Bible was not determined by men but by what its authors claim: the guiding hand and Word of God. 1 The Creation Answer Book, by Hank Hanegraaff, (Thomas Nelson, 2012), 2-3. 2 The Complete Bible Answer Book, by Hank Hanegraaff, (Thomas Nelson, 2016), 244-250. 3 Adapted from Has God Spoken, by Hank Hanegraaff, (Thomas Nelson, 2011). Can you give a 2 minute answer to tough questions about your faith? Tags: Authority of Bible, Blind Faith, Deity of Jesus, Existence of God, Is Christianity true?